Layered MRI Self-Portraits Engraved in Glass Sheets by Angela Palmer « Adafruit Industries – Makers, hackers, artists, designers and engineers! 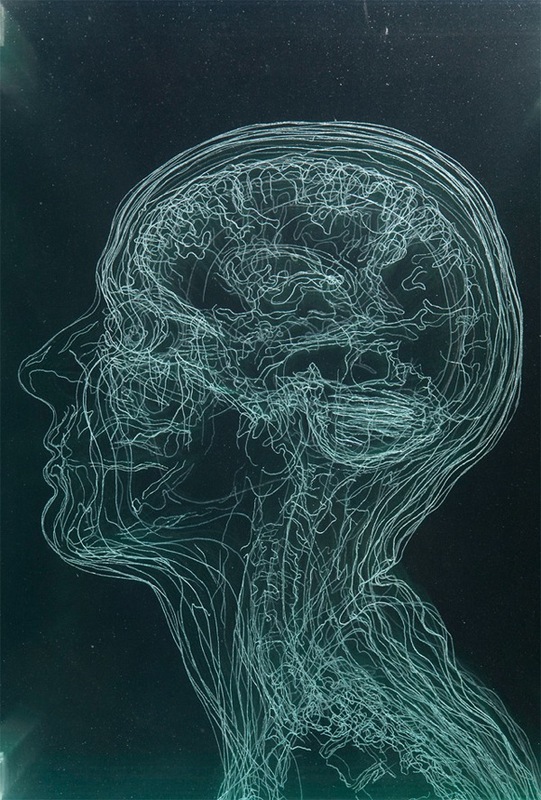 Layered MRI Self-Portraits Engraved in Glass Sheets by Angela Palmer @ Colossal. I have always loved maps. The process of investigating and visualizing topographies, natural forms and landscapes, and then producing them in a form which captures their essence is endlessly fascinating and satisfying. This desire to ‘map’ is at the core of my work, whether it be the internal architecture of the human head or the physical geography of the planet. Peeling back the layers to expose the hidden natural world is a recurring theme, in this context I have appreciated and enjoyed the opportunity to work with scientists in every conceivable discipline, from radiologists and botanists, to engineers specialising in bio-fluidics, to dust-mite and spider experts, veterinary scientists, paediatric dentists and specialists in ancient Egyptian dyes.